Brand new in Florence! 200mt on foot from Campo di Marte train station. 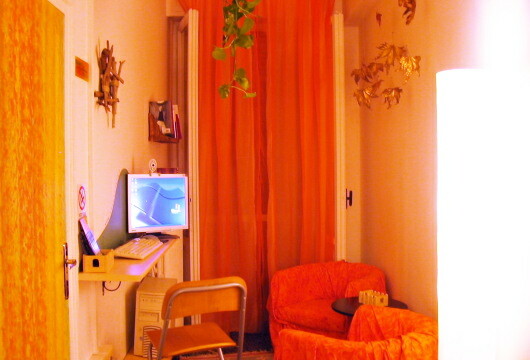 5 private rooms, spacious, clean, quiet, artistic with view to Fiesole hills, Piazzale Michelangelo, Duomo, Medici Chapel !!!! .. and 2 new and absolutely clean shared bathrooms ! - FREE linen and towels !! ----> Wi Fi in every room!! ---> A pc available 24hfor you in the lobby!! ... and above all, our personal suggestions to the cheapest and nicest places to eat ! 24H CHECK IN , but is necessary to plan an appointment by email or phone , if arriving later than 13. 00! THE MAIN ATTRACTIONS OF THE CITY ARE EASILY REACHABLE ON FOOT 20', BUS 15 '! Looking forward to meeting you soon !!! View from the balconies and windows. Every room has it's character as we decorated the doors and the walls with joy and creativity. Is spacious, absolutely clean, quiet and air conditioned on request. In every room you will find of course, our beds ( with anatomic matresses) each one with a private table next to it and a private light. A table with chairs, a mirror on the wall and if you reserve room, Mondo, Lieto or Rosso, a balcony. In every room you have internet access , if you have your lap top with you and , in any case, there is a pc in the lobby for your internet serfing. Internet is Free in our place. 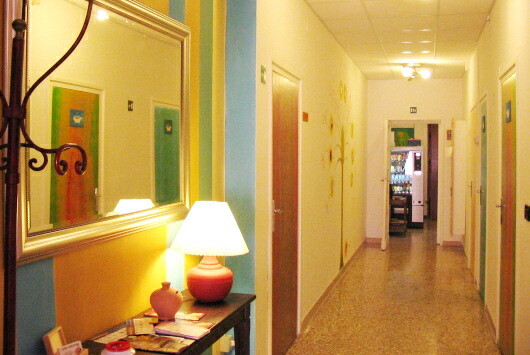 We are situated in Campo di Marte area , just 1. 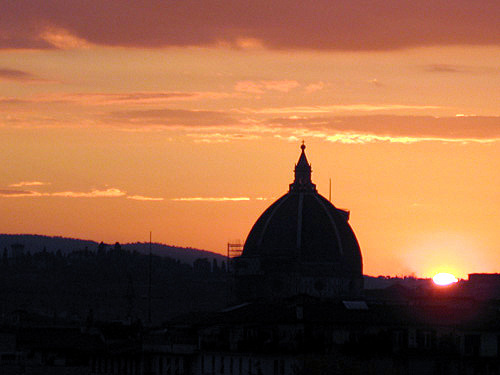 000mt from the historical city centre, next to the Stadium of Florence. Campo di Marte is a residence area, quiet, safe with a local homey feeling. We are in a green spot of the city It's easy to Park your car close to us for free. A small pizza place with one of the best pizzas in Florence! Next to our front door ! Pasta for 4€ and second courses for 5€. Simple place with a quick and clean service. Tasteful dishes! 300mt from our frond door! Typical tuscan kitchen. Goob bistecca. Traditional service! Just across the street! A well known place to the locals. Delicious schiacciata tosts and first courses! We do not charge you anything prior to arrival. We only charge you the amount of the first night's stay , in case of Non Show , without having cancel by email your reservation, at least 3 days before your arrival morning. We are in the green area of Campo di Marte, close to the stadium of Florence and underneath Fiesole hills, which view could enjoy from your windows! ON FOOT from Campo di Marte train station. ( if you arrive at SMN central train station, just take any Regional train directed to Arezzo and get off after 5' at the next stop ). BY BUS n 17 from the main train station of SMN, getting out of the left exit (having the tracks on your back) you will find the bus stop of 17, next to EXTYN Clothing Shop ( you may use the subway to reach it ). Our stop ( approximately after 12' ride ) is SETTE SANTI, that's on the corner with Viale dei Mille. ( you may find bus tickets - 1, 20€ for 70' ride, in small kiosk next to the BIGLIETTERIA (Ticket Office) or in the Ataf stands in your exit). Take the first train directed to Campo di Marte (every local train directed to South).